Whether you’re using it as a key ingredient, creating a cordial or vinegar, or even just for decoration, there’s no end to the ingredients that you can find on your doorstep. Foraged food is fresher, more unusual, diverse and more flavoursome than produce you might find on the shelves of your local supermarket. Our development chef Euan Peach isn’t afraid to get his hands dirty and go foraging for his dinner. 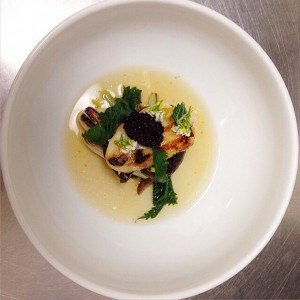 Euan created a three-course meal inspired by the ingredients he collected on the banks of the River Wandle, just a short walk from our test kitchen. For those of you that love the outdoors and the idea of sourcing your own ingredients, here are a few of Euan’s favourite items. 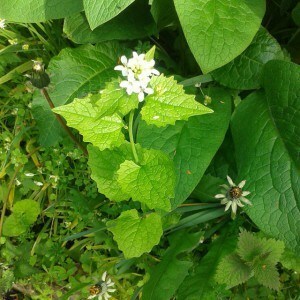 This is a common plant which can be found everywhere from the countryside to the city, frequently peeking through splits in pavements. It has crinkly, kidney shaped green leaves when young becoming more pointy with age. These leaves smell of garlic if lightly rubbed or crushed. Its leaves are perfect in sandwiches and when finely chopped and mixed with a little olive oil, they make a refreshing and delicate salad dressing. The flowers pack a bit of a punch but are also delicious in salads. Wild garlic is the perfect all-rounder; versatile and delicious it can be found across most of the UK throughout the year. It tastes much like regular garlic but has a milder flavour than its cultivated cousin. Use the leaves to create a beautiful wild garlic pesto, a simple addition to your salad, or finely chop them and add to butter. 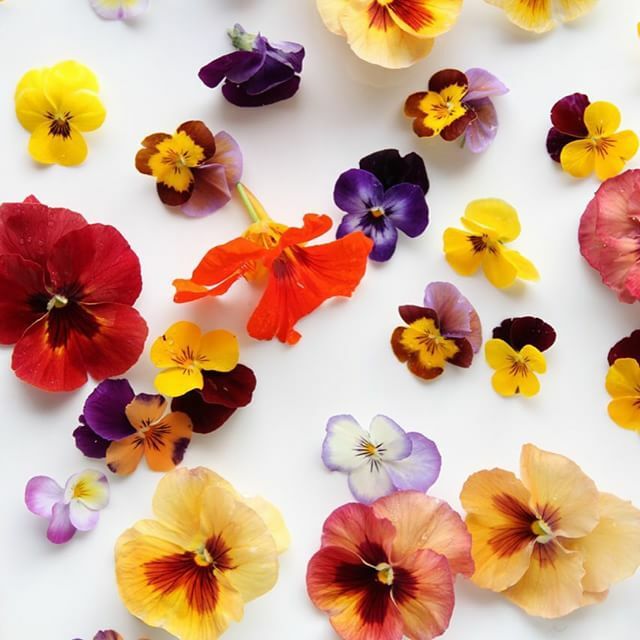 The flowers are a little sweeter than the leaves with a pepper kick and are fantastic to add as garnishes to salads, lamb and pasta. Use these delicate blue flowers as a garish to will add a little colour to your dish or even freeze in ice cubes for the perfect summer cocktail. The petals have a refreshing cucumber taste and the stamens add a hint of sweetness. 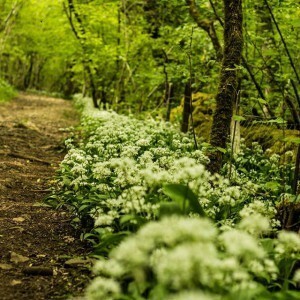 Elderflowers are one of the most versatile ingredients you can forage. Eat them raw, cook them, dry and powder, create cordials and vinegars, make ice creams and cakes, the uses for these delicate blooms are endless. 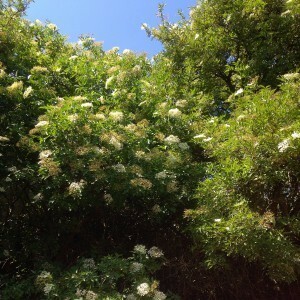 Elder bushes are usually covered in sweet-smelling flowers by the end of June and are quickly followed by berries between August and October. 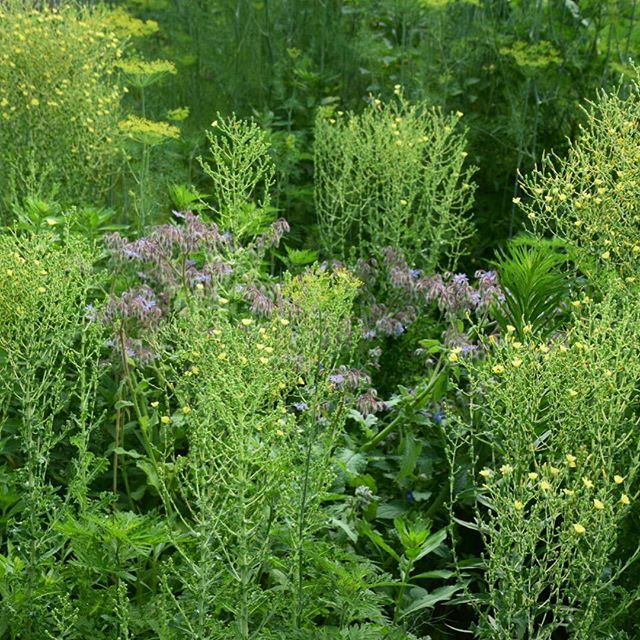 Elderberries can be put to many of the same uses as the flowers, but the leaves and stems are poisonous. 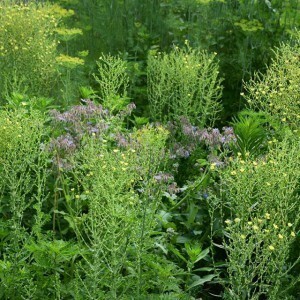 Elder is widespread and abundant in hedgerows, woods and roadsides. This plant pariah has a nasty reputation for its sting but after you’ve invested in a trusty pair of gloves you’ll soon realise the pros of nettles outweigh the cons. 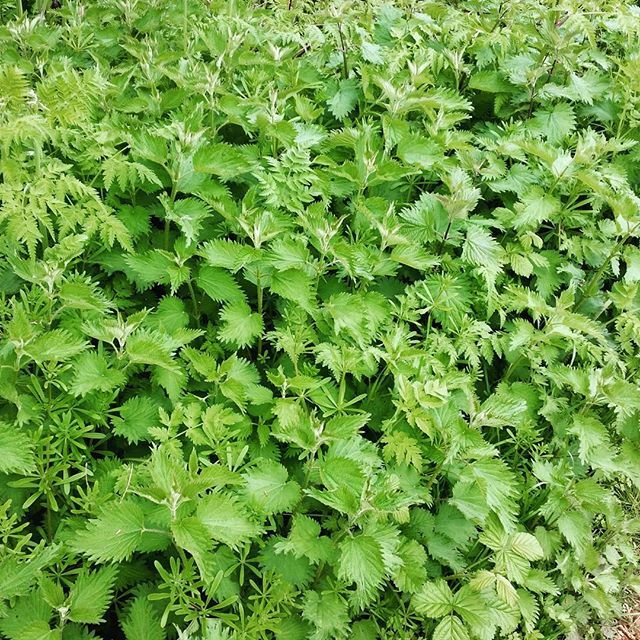 Among other things, nettles can be used be make tea, soup, beer as well as nettle dashi. Make sure you boil the nettles to get rid of the sting. Packed with vitamins and minerals, nettles are good for you too. In fact, they contain more vitamin C than oranges. 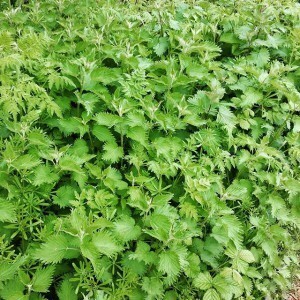 Nettles should be harvested before the flowers appear in early spring and only the youngest leaves should be chosen. You can find them in gardens, woodlands, and orchards across the UK. Dandelions are versatile, healthy and freely available throughout the country for most of the year. The whole plant can be eaten: leaves in salads, sandwiches or pies and the flowers can be used in anything from risotto to omelettes. If you can’t wait for the buds to open, they can be marinated and used like capers for flavour. 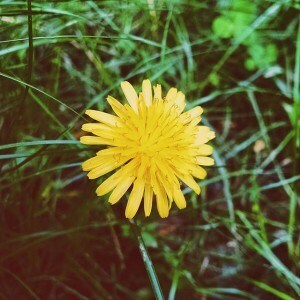 Why not make dandelion coffee by grinding the dried roots and use as normal. It’s totally caffeine-free and has a subtle chocolately taste. Flowers have a lettuce-like flavour and make a decorative addition to a green salad or to garnish a pâté or dessert. These attractive little flowers may lack fragrance but they do have a sweet-to-spicy clove-like flavour. 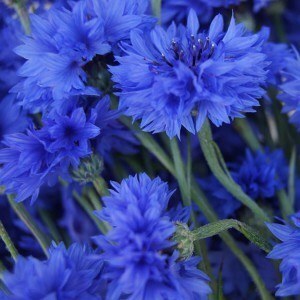 They are ideal for mixing with other flowers to liven up your saladsor pasta dishes. 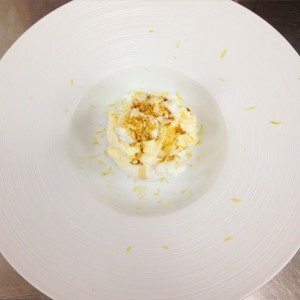 The weather forecast for tomorrow is a beautiful 27C; perfect for foraging Elderflower and cooking Euan’s delicious starter. Let us know what how it goes by tweeting @Createfood, we’d love to see what you make! 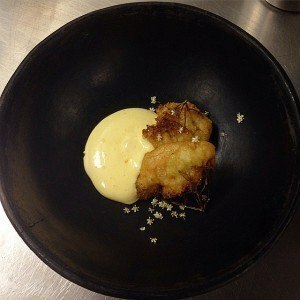 For the tempura, in a saucepan heat the vegetable oil to 160⁰c-170⁰c dip the flowers in the additional flour then into the batter holding the storks, place into the batter and fry until golden, then place on some paper towel and season with the Maldon salt, place into a bowl with a spoon full of the Hollandaise, garnish with the additional flours and drizzle with the vinegar.